The Old Testament Study Guide is designed as a companion guide to the Old Testament CASKET Timeline. 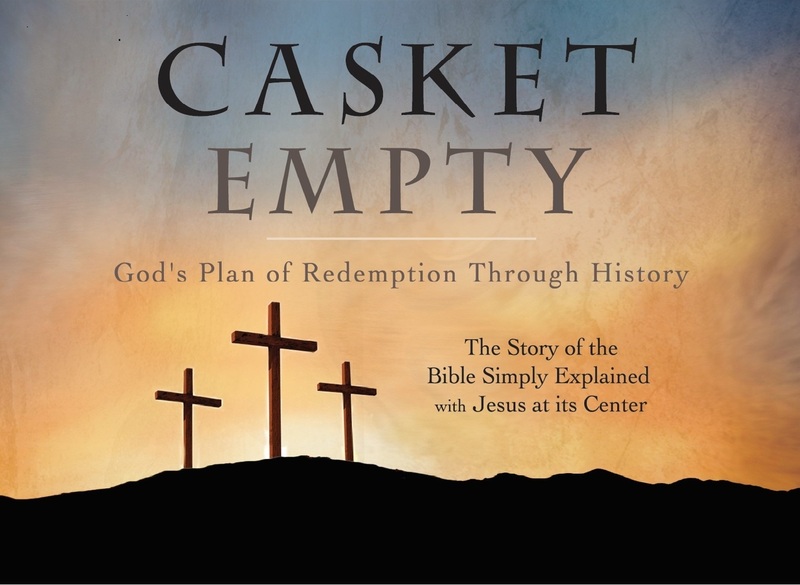 It is a beneficial resource for personal study of God’s word, but if you are teaching the Old Testament using the CASKET Timeline, this book will enhance your teaching, by providing you with a detailed description of each period along with additional Bible references for further reading and study. Some have used the Study Guide in Bible studies, working through one chapter every two weeks. Now available from Kindle at Amazon.com. The Old Testament CASKET Timeline is a color timeline which folds up to the compact size of 5.5 inches wide and 8 inches high; when unfolded, it is 40 inches long. The Old Testament timeline can be used for personal study of God’s word, but also for Bible studies or any Old Testament overviews in a larger group context. The timeline has key biblical texts given under each section, which can be used as Bible readings for any study on the Old Testament. The back side of the timeline provides a theological key to the pictures that will help people learn about central biblical themes in the Old Testament, and recognize the continuity in God’s redemptive plan. The New Testament EMPTY Timeline is a color timeline which folds up to the compact size of 5.5 inches wide and 8 inches high; when unfolded, it is 40 inches long. The New Testament timeline can be used for personal study of God’s word, but also for Bible studies or any New Testament overviews in a larger group context. The timeline has key biblical texts given under each section, which can be used as Bible readings for any study on the New Testament. The back side of the timeline provides a theological key to the pictures that will help people learn about central biblical themes in the New Testament, and recognize the continuity in God’s redemptive plan. The Old Testament CASKET Banner is a vinyl, color banner measuring 3ft high by 15ft wide. It is identical to the front side of the smaller CASKET Timeline and is designed to be used in the context of larger groups for lay education in the church and theological education in the classroom. The banner is portable, easily transportable, and can be mounted on wall-hooks or attached to other structures in the classroom by using the eye-hooks on the banner. It can be rolled up after use and can be easily stored. This larger version of the timeline has proven to be an extremely useful teaching tool when seeking to communicate the story of the Old Testament in larger groups. It enables the teacher to walk people through the key people and events of the Old Testament story, while keeping the visual timeline before the group. The Old Testament Basic PowerPoint is comprised of over 130 slides that cover the entire Old Testament, using the CASKET acronym. This set provides a visual aid for teaching and preaching on the Old Testament, and is designed as a companion to the CASKET Timeline. It introduces people to the acronym CASKET, including the key dates and icons for each period, and to the story line of the Old Testament from Genesis to Malachi. The PowerPoint set is in the same design format as the Old Testament timeline, including animations using the CASKET icons. The Old Testament Basic PowerPoint is available on flash drive for PC and Mac users. Operating requirements: PowerPoint must be installed prior to using the Old Testament Basic PowerPoint. The New Testament Basic PowerPoint is comprised of over 180 slides that cover the entire New Testament, using the EMPTY acronym. This set provides a visual aid for teaching and preaching on the New Testament; it is designed as a companion to the EMPTY Timeline and Banner. The PowerPoint set introduces people to the acronym EMPTY, including the key dates and icons for each period, and to the story line of the New Testament from Matthew to Revelation. The set also includes slides on every New Testament letter. The PowerPoint set has the same design as the New Testament Timeline, including animations using the EMPTY icons. The New Testament Basic PowerPoint is available on flash drive for PC and Mac users. Operating requirements: PowerPoint must be installed prior to using the Old Testament Basic PowerPoint.